Airlines can boost profits if they can sell more of their “premium service” tickets, but to do that they need more premium seats. In most airliners, there are a dozen or so first-class seats, maybe as many in business class, and the rest in coach. United Airlines has just announced it is reconfiguring at least 100 of its planes to add more space for its upgraded travelers. Those flying economy, however, will likely be giving up some space. "In an era where many airlines are adding seats to their aircraft to crowd more passengers onto the plane, we're re-configuring more than 100 of our aircraft and doing exactly the opposite – for the benefit of our customers," said Andrew Nocella, United's executive vice president and chief commercial officer. The extra space will come at an added ticket cost. But the airlines have figured out that most of their profit comes from passengers who want comfort and amenities and are willing to pay for them. In this move, United is adding premium seats on its most traveled and lucrative routes. Zac Honig, who writes The Points Guy Blog, reports that the retrofitted planes include some of United’s Boeing 767-300 ERs that will have “an exceptionally high number of lie-flat” seats to accommodate passengers on longer flights. 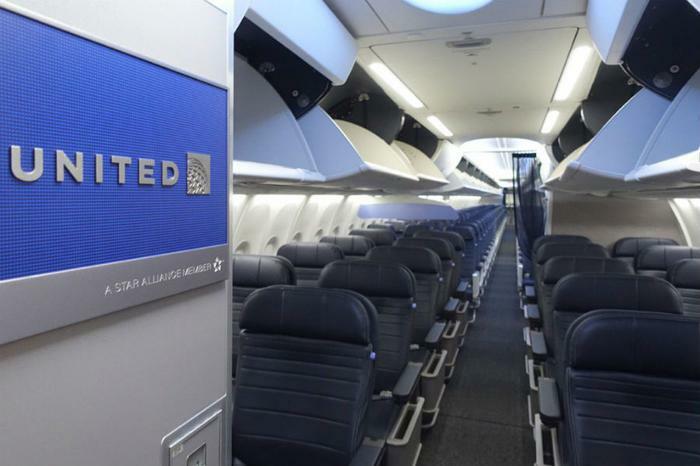 United also announced that it will deploy a fleet of 50-passenger jets on some highly traveled regional routes, and these aircraft will have mostly premium seating. The introduction of the Bombardier CRJ 550 aircraft is subject to government certification, which is expected to be complete by the end of the year. These mostly first-class aircraft will feature LED lighting, a self-serve beverage and snack station for customers seated in the premium cabin, Wi-Fi, and extra overall legroom. United says the aircraft will also provide four storage closets for storage of carry-on bags. The CRJ 550 will be configured in two cabins and feature 10 United First seats; 20 Economy Plus seats and 20 Economy seats. For more than two decades airlines have struggled to raise fares, not daring to raise them too much out of fear of losing the traveler to a competitor. United’s strategy appears to be one aimed at keeping economy fares stable while increasing revenue from travelers willing to pay more in return for a more pleasant experience. "From adding more premium seats on aircraft that serve some of our most traveled routes, introducing a revolutionary, best-in-class 50-seat experience or simply offering free DIRECTV on more than 200 aircraft, we are committed to making United the airline that our customers choose to fly," Nocella said.